A Kimly-owned Rive Gauche outlet at VivoCity mall in Singapore. 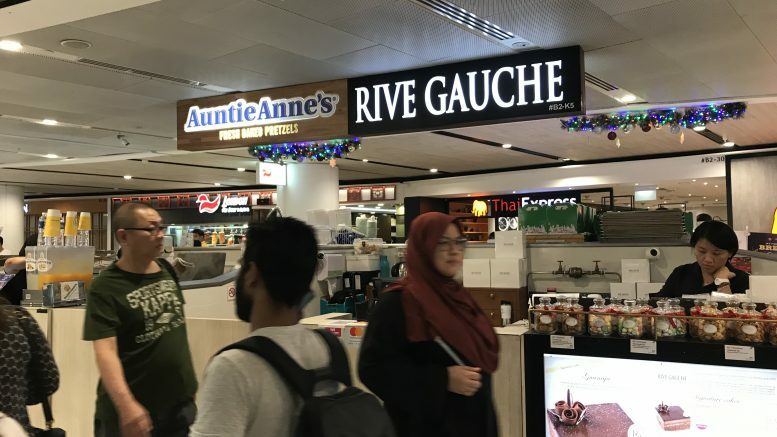 Revenue for the quarter ended 31 December increased 5.0 percent on-year to S$52.6 million, on contributions from newly acquired food brands Tonkichi, a Japanese restaurant chain, and Rive Gauche, a Japanese-French confectioner, it said in a filing to SGX after the market close on Tuesday. But that was offset by cost of sales increasing 5.1 percent on-year in the quarter to S$42.02 million, in line with the revenue increase, it said. Selling and distribution expenses also increased 55.2 percent on-year to S$1.32 million, partly due to higher online food delivery fees and advertising expenses, while administrative expenses rose 22.7 percent on-year in the quarter to S$3.63 million on increased headcount and salaries, the filing said. The two food brands were acquired in July 2018 as part of an effort to expand its product range and reach a wider consumer audience, Kimly said. It owns three Tonkichi outlets and 10 Rive Gauche stores, it said. Kimly said its net cash from operations rose to S$20.9 million in the quarter from S$7.8 million in the year-ago period as it received S$12.0 million from the reversal of its acquisition of beverage company Asian Story. The company said it was carrying out its planned growth initiatives, including expanding its coffee-shop portfolio and its product offerings, as well as streamlining operations and optimizing its central kitchen. “As part of efforts to cater to the public’s preference for healthier dining options, the group is developing its own brand of iced Kopi and iced Teh for sale at all its coffee shops. This is expected to be completed by March 2019,” Kimly said. It said it expected to remain profitable for the fiscal year.